The #BUZZisBack! 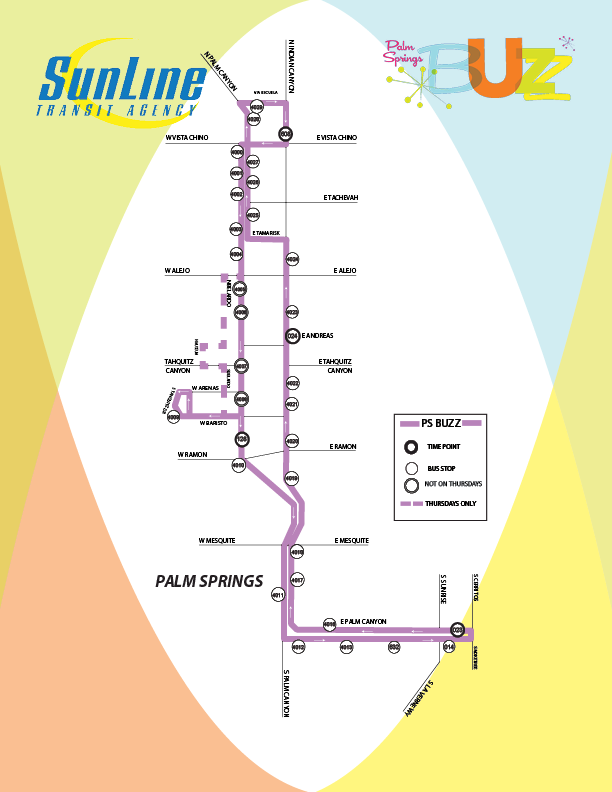 SunLine Transit Agency has re-launched the Palm Springs BUZZ – which provides free rides on its original route in Palm Springs every 20 minutes from 12:00 p.m. to 10:00 p.m. Thursdays through Saturdays. This service is available to tourists and residents alike, and makes stops by several popular points of interest in Palm Springs. View the route map below, and click here for its schedule of service.